When it comes to financial asset trading and pricing’s, binary options has been one of the most controversial forms of trading. This is mainly due to the fact that some part of the population see it as form of gambling. This sort of perspective and outlook on the business has led to many jurisdictions to ban binary options and have categorised it as gambling in many countries. Partly due to the fact that users have used it to carry out scams and frauds throughout the years that it has existed. However, when you push all that sort of negativity aside, it is clear that there is a major reason why this form of trading is so controversial. This is because, when done right, through a legitimate Binary Option firm, it is possible to reek in vast amounts of money, and with binary options, it always in the least amount of time possible. This is why millions upon millions of users from all over the world have been interested in the field and that is why we take a look at one of the most influential binary option trading services today, anyoption. 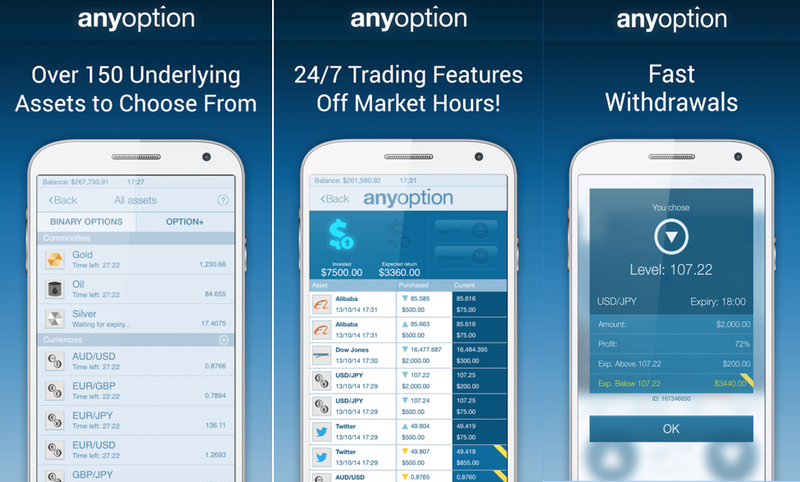 Anyoption is a mobile application that is available for free on the Google Play Store for Android users that are interested in binary option trading to download. The application has managed over 500,000 downloads and with a rating of almost 4 stars, it is without a doubt that the app does what it was programmed and designed to do. 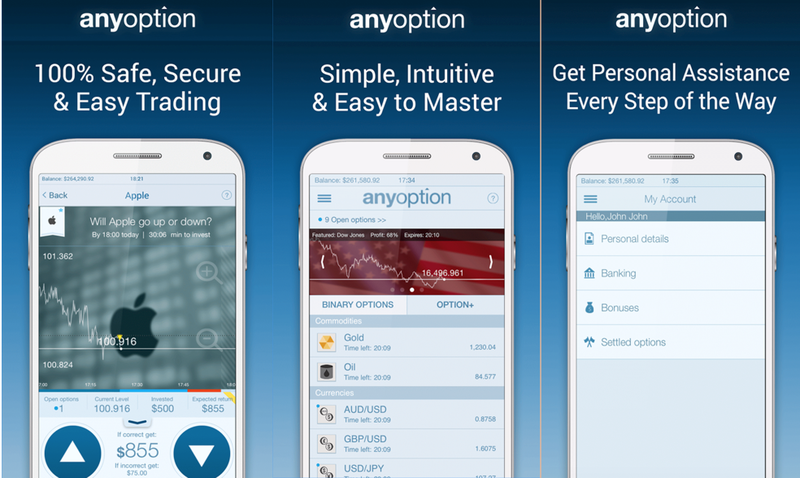 The anyoption mobile application makes it easier for Android users to trade binary option assets on the go, straight from your handheld smartphone device. The benefits of having this application if you’re in the field of financial trading is without a doubt, immense. The application allows registered users to make trades as easy as 3 screen taps. Numerous deposit methods ranging from Visa, MasterCard, Maestro, Bank Wire, iDeal, Sofort, eps, giropay, Skrill, Neteller, Moneybookers, CashU, Diners Club and Ukash. 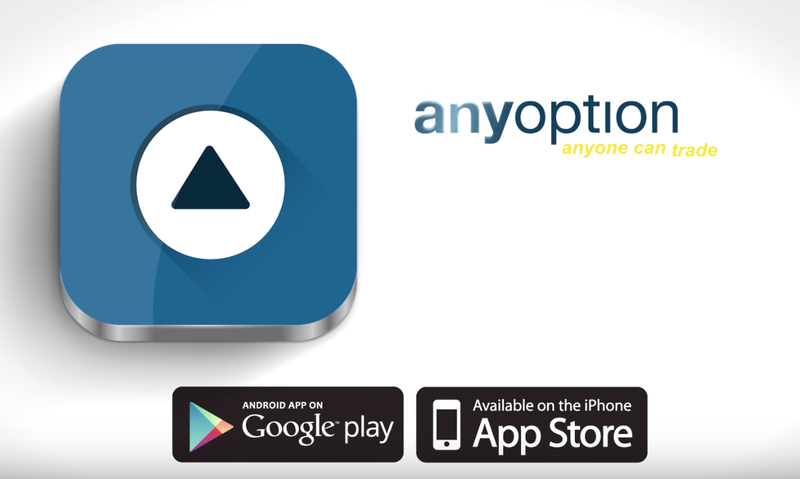 With such features and great live professional support for any problems or issues, the anyoption app makes a great bonus feature for those registered with their online binary option trading web services making it a lot easier to make that extra bit of cash we all truly need.